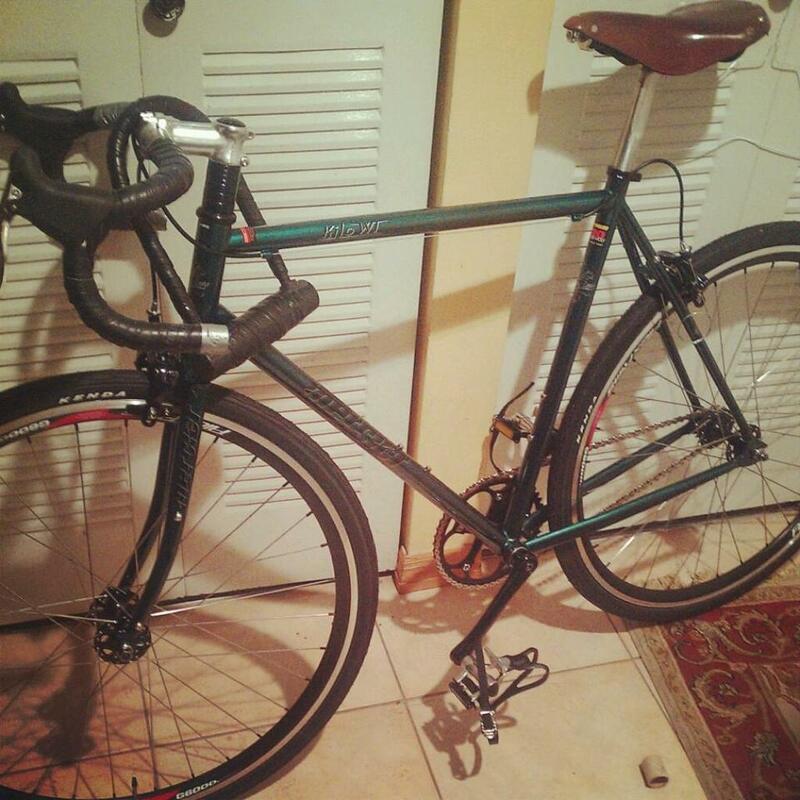 Emerald green 2013 Mercier Kilo WT stolen on Saturday night from downtown Miami. 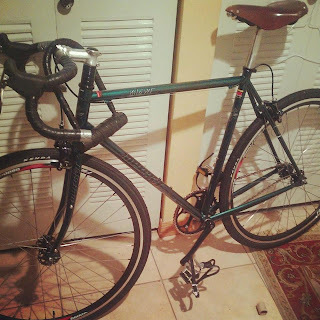 It has a brown Brooks saddle and brown handlebar tape. Contact Alberto at (305) 282-6464 if you have any information.